The first full day at the Nordic Championships is pretty much behind. 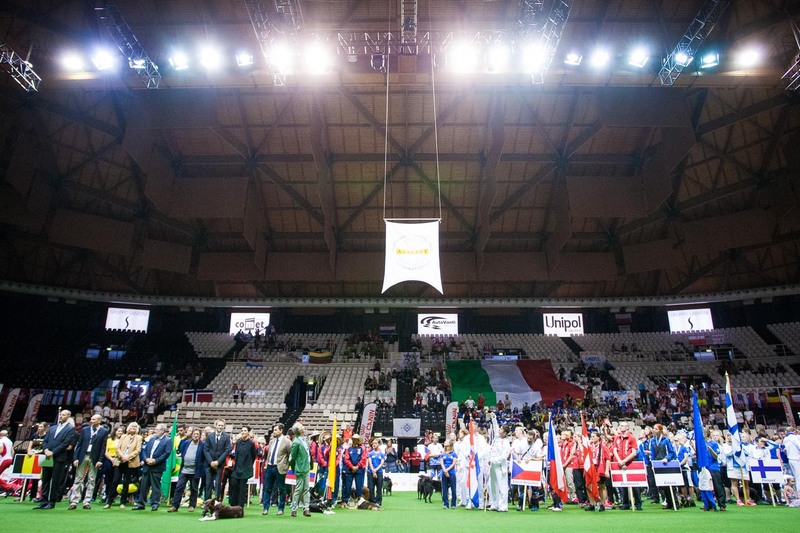 Since a significant part of the photography work with any sports always awaits after the shoot, the place for the time outside the competition has a huge impact on the chances to work properly. I don’t have any clue how the hotel ranks among other alternatives in the location, but at least the room is quiet with proper sound insulation, there’s a desk to work on, the internet has been invented, and the breakfast is ample (with actually the time to have some). Pretty much perfect then. And there’s an empty minibar ready to store little snack from the grocery store which is open until 11pm. Brilliant! Did I mention that the internet works. Unbelievable. In the morning there were some news that a substitute team for an unfortunate last minute injury was going to get on their way. 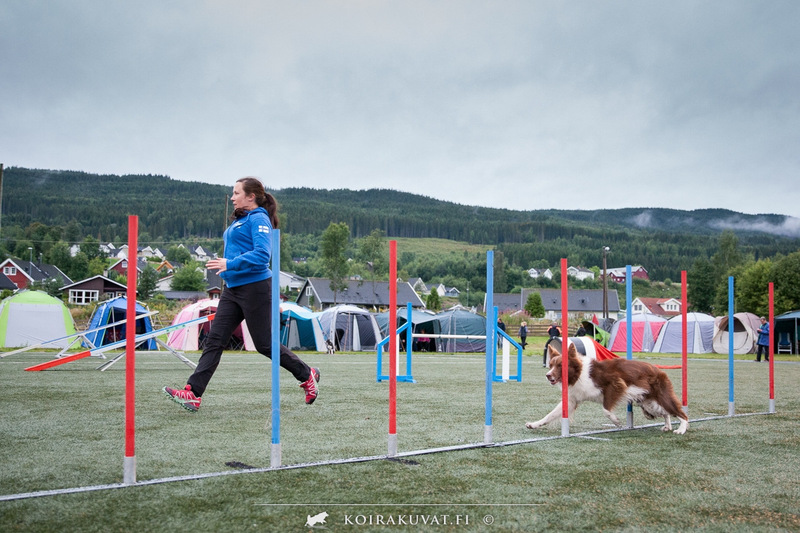 Gaia will return to a Norwegian edition of the Nordic Championships after winning the title in 2012. After the team briefing, the original “secret” plan was follow few team members for a walk to the nearby Olympic park to shoot couple of frames fitting to the surroundings. However, after the morning breafing one handler was getting more ill, and the photographer’s responsibilities were upgraded to a medical chauffeur. After the sudden change of plans, I decided to still go to quickly check the ski jumping stadium from the 1994 games and with a little bit of luck, some team members could still be there. As it happened, after just a few minutes of looking around, a white-and-blue jacket appeared in the horizon approaching the skiing center. Even more luckier, we managed to get just a couple of shots before the predicted rain. 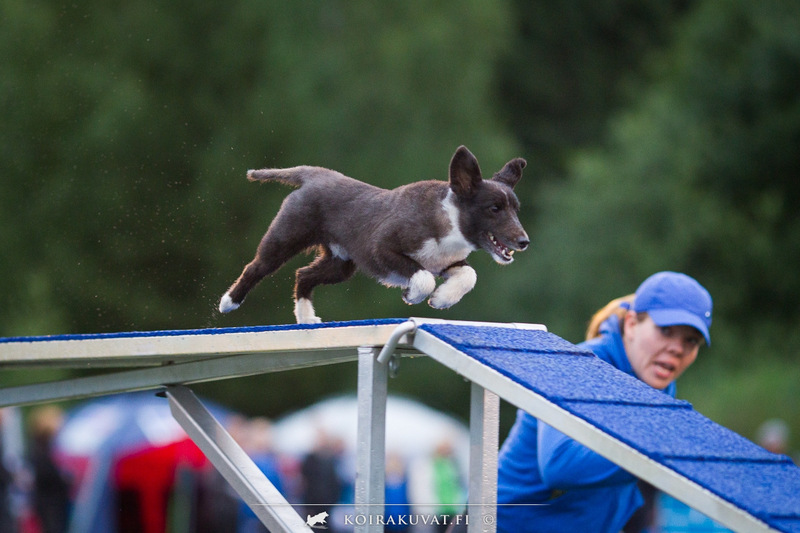 Anu Rajaheimo is a Nordic Champion from 2012, and at that time she was running in small class with other sheltie. 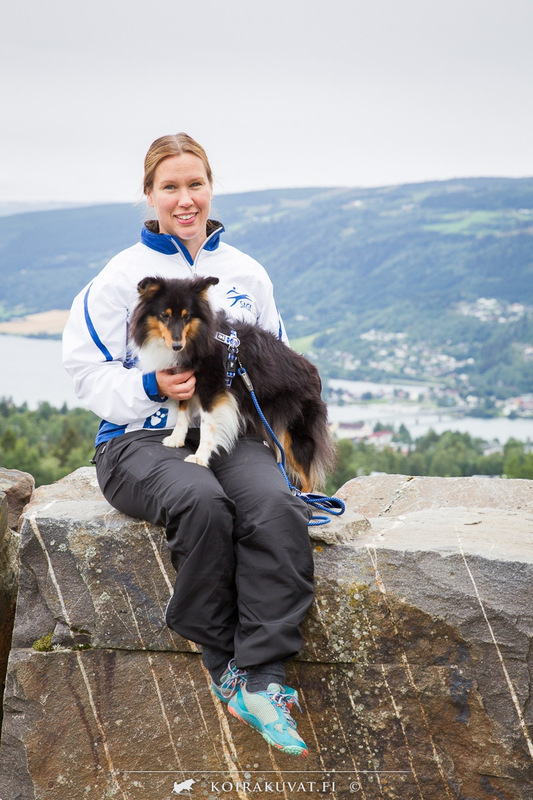 This year she’s in Team Finland with a medium sheltie Budi, and they will run all courses in Zaragoza too. After the lunch break with yet another team members (it’s was easy to accitentally bump into others in a small town center), it was time to head to the competition site with one sheltie team. Of course, soon after the first course walkings it really started to rain. Fortunate enough, a proper rain cape was not left behind, and the next three hours were spent one the course sides with soaked pants but semi dry cameras. The veterinary check was followed by the practice session with Team Finland in the first slot. Having three small warm-up courses side by side and they weren’t separated with anything. With the possibility to get much closer to the action, I tried to get some shots from angles that are likely not possible later in the weekend. At the moment, the evening was getting darker fast, and only now looking closer to one frame published in the live gallery, I got some luck from the often-too-awful colored floodlights, giving some sparks to Hunni’s running dogwalk. It’s about time now to get some supper snack, get all the gear dry, and start going through the bunch of shots from the day. Tomorrow, shall the games begin!